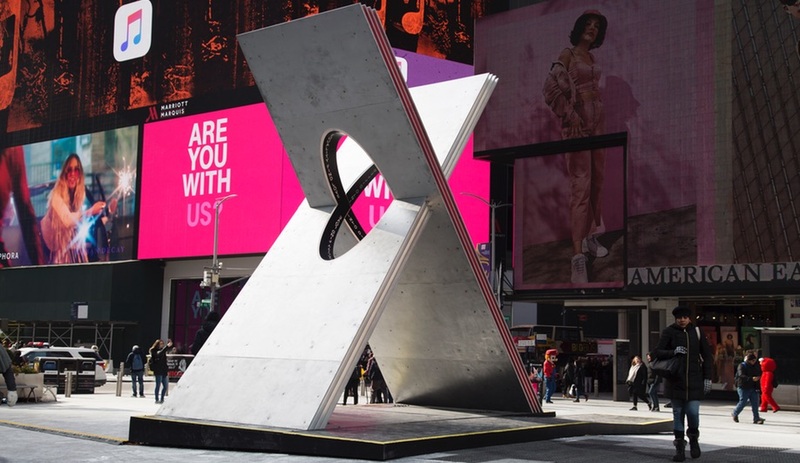 The Times Square Valentine Heart installation series brings community love to a New York landmark, in the form of a giant X. 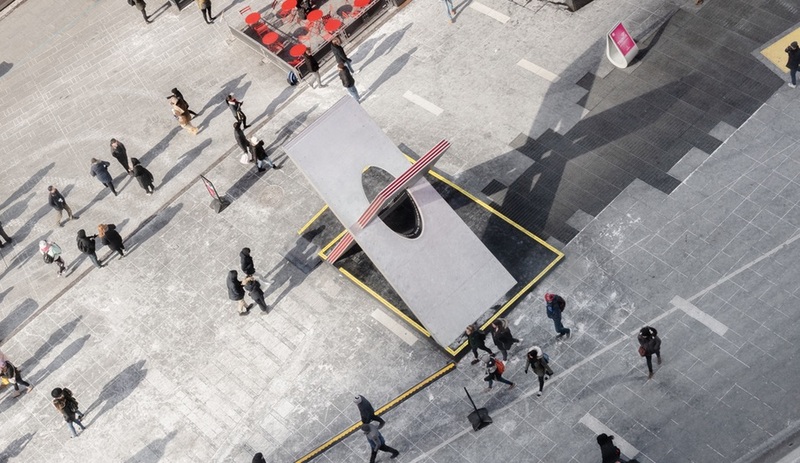 For the past decade, architects have been marking Valentine’s Day by showing a little love to New York City. 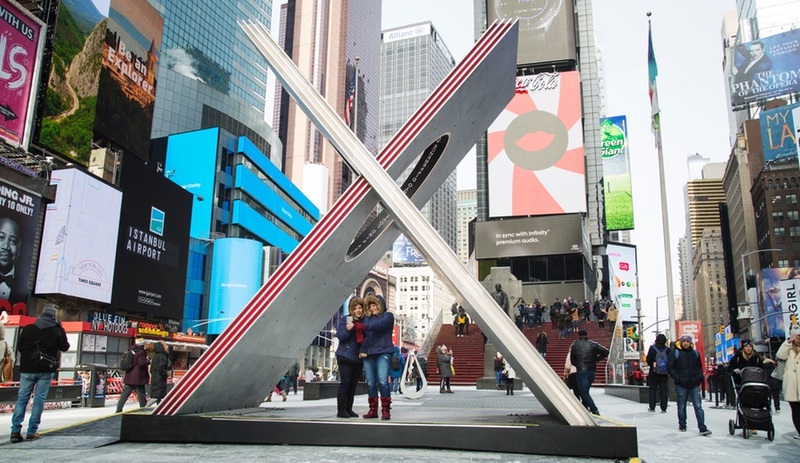 The Time Square Valentine Heart installation series – launched in 2009 with a laser-cut sculpture by Gage/Clemenceau Architects – has seen top firms such as BIG and Collective-LOK create unique works to add even more colour and light to the landmark, during the dreariest month of the year. On view through the month of February, this year’s installation is courtesy of local firm Reddymade. 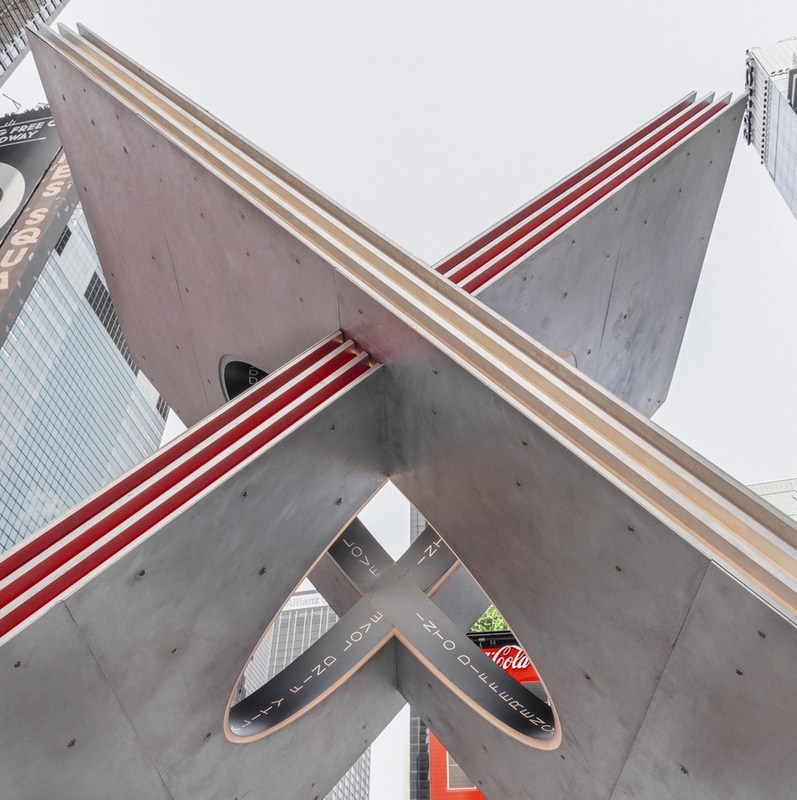 Positioned near the famous red steps that top the TKTS booth in the northern triangle of the square, the aptly named “X” is an 18-foot intersection of aluminum planes that creates a habitable space beneath its crux and offers an ideal frame for Instagram shots. 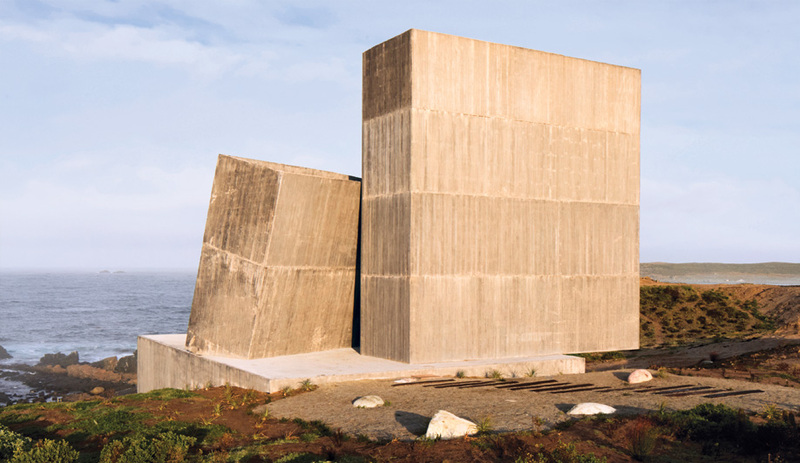 “We were deeply inspired by the brief for this project, which is a quote that says justice is the expression of love in community and tenderness is its expression in private,” explains Suchi Reddy, founder of Reddymade. 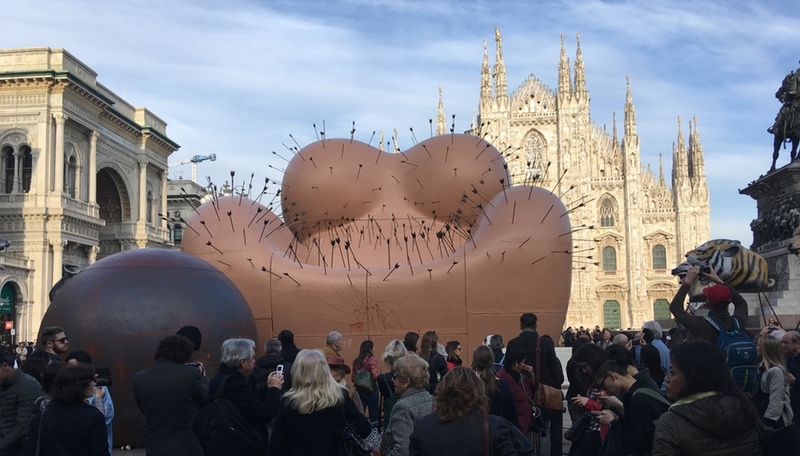 She chose the form of the X, she says, as it not only expressed the X-rated past of Times Square, once infamous for its insalubrious establishments and high rate of crime, but also because of its use as a symbol for a kiss. 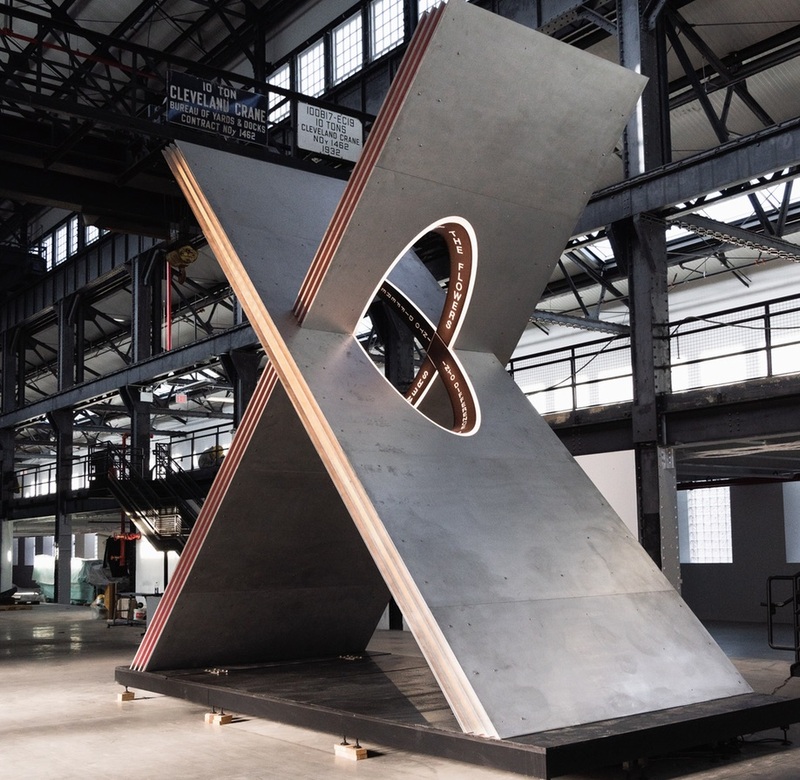 “We also found, that when we introduced a unifying element like a circle at the intersection of the X, it creates a heart shape,” explains Reddy of the O-shaped voids in each plane, which could also represent a hug to accompany the kiss. 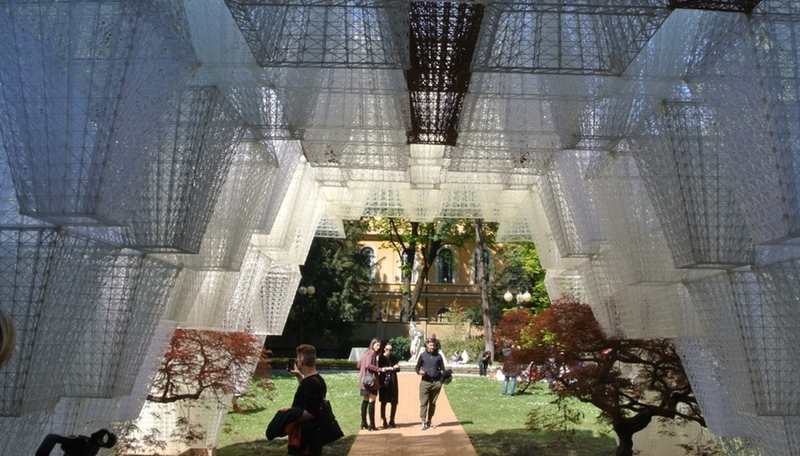 Looking at the sculpture from the side, only the O is visible, but as visitors move around and interact with the piece, perhaps attempting to read the words inscribed along the interior edges – “Into Difference, Add Equality, Find Love, Don’t Forget the Flowers” – the heart shape becomes visible from a variety of angles. 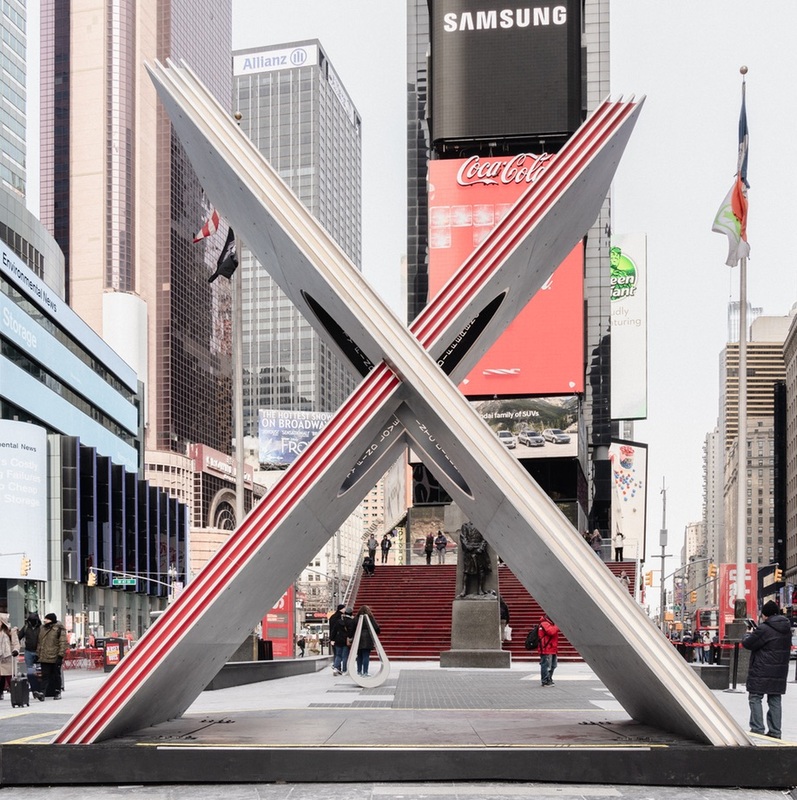 Formed with a wood-covered steel frame, the X is clad in aluminum that not only mirrors the colour and lights of Times Square, but also those of the high-intensity LEDs built into the frame’s perimeter. 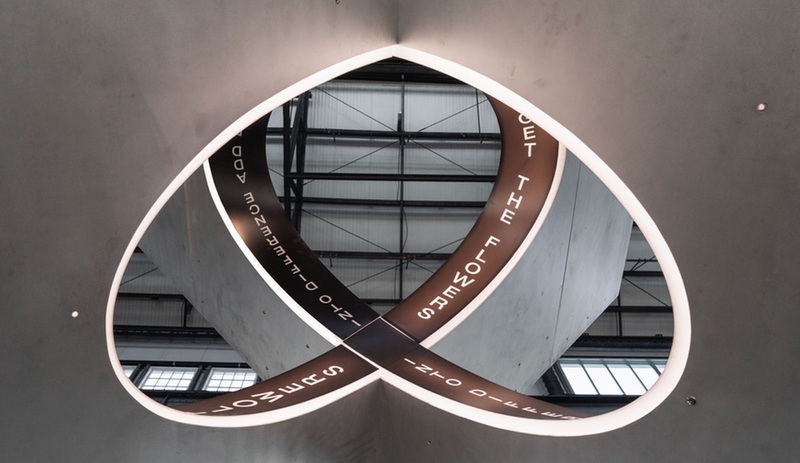 The lights are linked to sensors, built into the sculpture’s base plate, which respond to visitors, growing brighter as more people enter the space and dimming again as they leave.